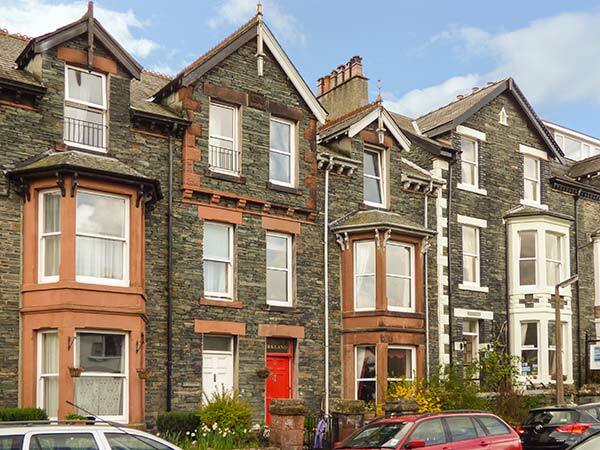 Kirklands is a superb, terraced townhouse in Keswick sleeping up to nine people in four bedrooms. 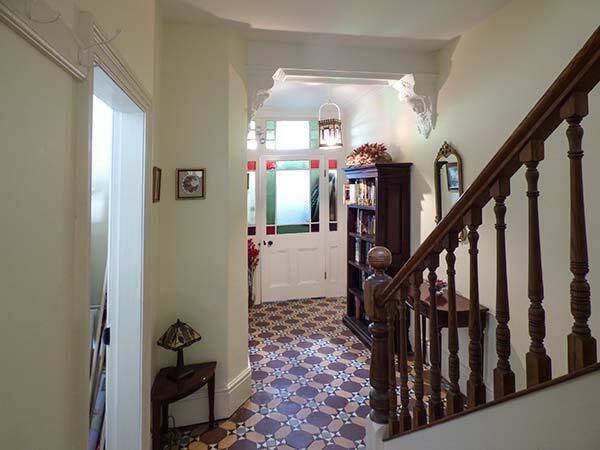 There's also a bathroom, a shower room and two cloakrooms, along with a kitchen, a utility room, a dining room, a first floor sitting room with open fire and a ground floor snug with woodburning stove. Outside, there is a small terraced garden area to the front of the property, whilst to the rear is a larger terraced area with furniture. Roadside parking is also available nearby, on a first come, first served basis, whilst a nearby car park for additional parking is also available. Kirklands is a lovely, spacious holiday home, perfect for touring this pretty part of the North Lake District. Over three floors. Four bedrooms: 2 x second floor double, 1 x first floor twin (zip/link, can be king-size double on request), 1 x second floor single. Bathroom with freestanding bath, hand-held shower, basin and WC. Shower room with shower, basin and WC. Ground floor basin and WC. Kitchen. Utility. Dining room. First floor sitting room with open fire. Snug with sofa bed and woodburning stove. Gas central heating with open fire and woodburning stove. Electric oven, gas hob, microwave, fridge, freezer, washing machine, tumble dryer, dishwasher, 2 x TVs with Sky, DVD, WiFi. Fuel, power and starter packs for fire and stove inc. in rent. Bed linen and towels inc. in rent. Travel cot and highchair on request. Roadside parking available on first come, first served basis. Additional parking available in nearby car park at cost. Small front garden, plus rear terraced area. Property accepts a maximum of 3 children. Two well-behaved pets welcome. Sorry, no smoking. Shop and pub 3 mins walk.